Perfume Oils, Essential Oil Perfumes and Spiritual Perfume Oils ~ Magical Perfume Oils for Psychic Vision & Meditation Rituals! 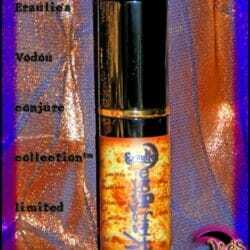 Psychic Perfume Oils & Pure Essential Anointing Oils! 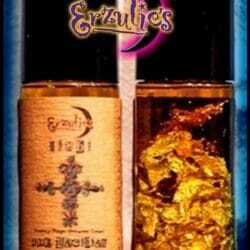 Gain clarity, awareness, meditative and psychic enhancement with Erzulie’s mystical blend of pure essential oils and rare absolutes including: Organic Haitian Vetiver, Somalian Olibanum, Blood Orange, Angelica Root, Superior Ylang & Exquisite Lemongrass renowned for bringing clairvoyance, attunement, awareness and prophetic dreams into your life. 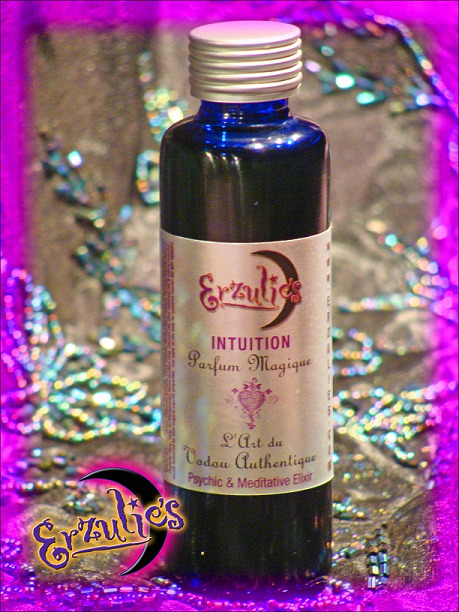 Just apply our exquisite, magical perfume oils to your body like any perfume oil, especially during meditation or divination, to enhance your psychic abilities and intuition. 40ml Blue, Green or Clear French Twist Cap Bottle.